The former head of Rwanda's tea industry has pleaded guilty to complicity in the 1994 genocide. Michel Bagaragaza admitted playing a role in the massacre at the international Criminal Tribunal for Rwanda (ICTR) which sits in Tanzania. He said he allowed a militia to use tea factory vehicles on their rampages. The ex-tea boss had originally pleaded not guilty in 2005 to four counts of genocide charges, but has amended his plea as part of a plea agreement. 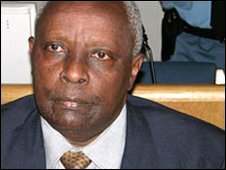 Rwanda's former tea chief was seen as being close to ex-President Juvenal Habyarimana, whose death when his plane was shot down on 6 April, 1994, sparked the 100-day massacres. 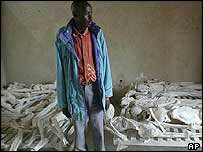 An estimated 800,000 ethnic Tutsis and moderate Hutus were killed during that time. Mr Bagaragaza voluntarily surrendered to the ICTR in 2005 and has testified against others accused of taking part in the killings. In return for his co-operation, he requested that he be tried outside Africa. But attempts to have his trial in Norway and the Netherlands failed and he was transferred back to Arusha last year. He was originally charged with conspiracy to commit genocide, genocide, complicity in genocide and violations of the Geneva Conventions, the ICTR said in a statement. But in a plea agreement, the prosecution amended the indictment on Thursday and Mr Bagaragaza pleaded guilty to complicity in genocide. The ICTR, which is based in Arusha, Tanzania, has completed 47 cases.